The actress has been invited to speak at the Harvard Business School conference on 16 February. 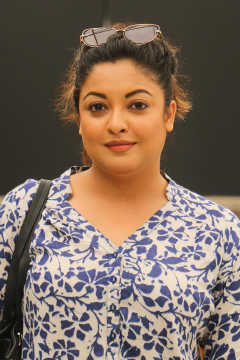 While the #MeToo movement has quietly faded into the background, actress Tanushree Dutta continues to be connected with the vital movement that defined 2018. The actress has reportedly been invited to speak about her role in the #MeToo movement and its importance at the annual India conference of the Harvard Business School. The actress shared the news on her Instagram page. The actress will join journalist Barkha Dutt, filmmaker SS Rajamouli, politician Sachin Pilot among others at the conclave. India Conference 2019 is a student-run conference held at the Harvard Business School and Harvard Kennedy School. The topic of the conclave is 'India at inflection point'. It was Dutta's recollection of an incident on the sets of Horn Ok Pleasss where she alleged that actor Nana Patekar had, alongwith others, harassed her on the sets. This sparked an immediate backlash against the actor, with Patekar having to step down from projects such as Housefull 4. Dutta's statement was also the first among many allegations which spilled into the media, and brought out several similar misdeeds in the industry. Filmmaker Sajid Khan, actor Alok Nath were among the many prominent names that were accused by multiple women of obscene behaviour. Dutta will speak at the event being held on 16 and 17 February in Boston, Massachusetts.